CESP LED Lighting Series, is the result after years of technology research and development. 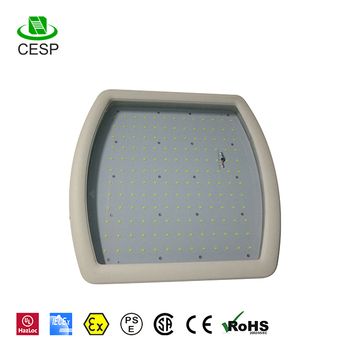 • CESP LED Street Light series is patented technology, result in reliable, practical and long life light fixture. • Is design to replace the current existing Street Lighting system. • Product Structure & Outlook–self-developed, and tested in market, subsequently improved based on market feedback. To maximize the best heat transmission for longer LED life. • Radiator is designed to be Curved Fin Shape to ensure easy flow of air. • During rain or melting process of snow and ice, will wash away the dust and other particles. • High pressure (1800ton) Die-Cast directly into lamp shape. • As a result of Die-Cast, no gaps hence, no space for dust to accumulate. • If dust and/or other particle cover the top of the lamp, this will create an isolation to the surrounding air, hence the heat will not be able to transmit effectively. • As a result, LED chip will get damaged due to overheat, and run at less efficient rate (light decay). • The previous slide mentions how we solve this issue. LED chip with Aluminum PCB board installed directly onto Aluminum Shell. As a result, the whole lamp is integrated as a radiator for the LED chip. - To ensure long lasting power drive. • Glass: 4mm(thickness)Super Strengthening Glass with 95% light transmit rate. - To ensure minimum initial light loss while maintaining protection. • LED Chip : USA bridgelux chip BXCB45 or Cree XPE. Performing at 140lm-150lm@ 350ma (350ma is slightly over 1 watts). • Aluminum PCB board : Thickness 2.0mm with heat transmission index of 2.0. • After research on thermal relation between LED and Aluminum, we choose to use 1 watt LED chip (350ma chip) for LED street light. • Multiple piece of 1 watts LED chip are mounted onto a 2.0mm Aluminum PCB board with enough distance apart, and then the PCB board is mounted directly to the aluminum housing, this is to ensure, every LED chip’s heat are being released with enough space. • The radiator surface area (LED mount area) are greater then 5 time the LED light emitting area. • Therefore, heat is being released in a timely fashion. • Water proof Silicon: Top quality rubber with anti-low aging and burn-proof characteristic. Ingress Protection Grade : IP68 (highest protection grade for waterproof and dustproof). This is achieved thru materials used and unique design of the water proof body. • Design of the water proof system on our fixture. • Reflective focuser Integrated to LED chip, therefore, secondary LENS is not needed to adjust angle. • In other word, no further initial light lost due to secondary LENS. • Integrated Reflective focuser’s angle on LED chip are 120°x 60°,(whole lamp angle : refer IES) which is designed to illuminate wide area and suitable for road lighting. • As a result, able to reduce the wattage of light fixture needed to illuminate the same area. • LENS Integrated with LED chip, therefore, secondary LENS is not needed to adjust angle. • Integrated LENS’s angle on LED chip are 140x 60 ° (refer IES for whole lamp angle), which is designed to illuminate wide area and suitable for road lighting. • As a result, able to reduce number of light fixture needed to illuminate the same area. • CESP LED Tunnel Light, LED Gas Station Light, LED High Pole Light series is patented technology. The design of these products and fundamental principles of structure, material and function are consistent with CESP’s LED Street light. • 1) Integration of optical design into reflector, through the reflective piece to reflect out, ensure the most effective way of optical design. • 2) In tunnel road lighting, lighting installation height is 4-6 meters, with distance of 10 meters and less, at the given condition, the lens Angle of 60°x 80°, with the range and brightness focus relatively, it meet the tunnel road and mine area lighting. • 3) with the angle of 60°x 80°, it also increase the focusing of light, which when install at great height, the lux level will be greater. • 4) The end result are, in the same amount of light source, improve the overall lighting effect (increase of lux level). • CESP had taken actions to ensure quality of all the light fixture’s performance, to meet the highest standards. • Low-temperature testing equipment to ensure lamp performs well in low-temperature environment. • High-temperature testing equipment to ensure lamp performs well in high-temperature environment. • Every product will go through vibration testing to test every connection point in lamp is well connected to ensure every part performs with highest reliability. • Light parameter testing equipment to test the photometric performance to ensure every lamp meets the lumen and lux requirements and standards. • Salt-water spraying equipment to test the waterproof ability and lamp surface’s anti-oxidization ability to ensure lamp ability against rusting. 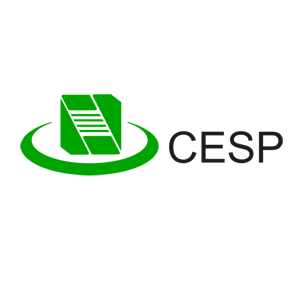 • CESP understands the need for continued development and will continue to invest into creating innovative technology.